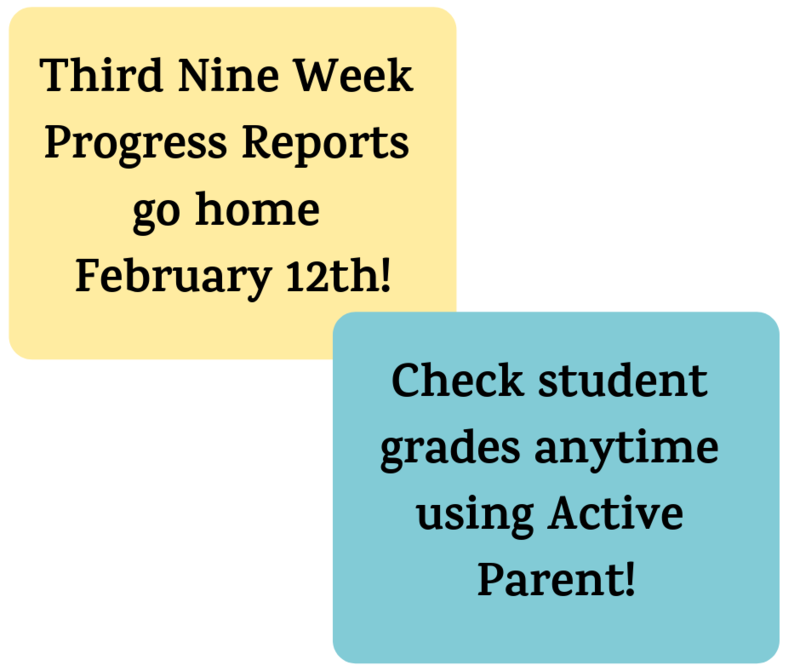 Third Nine Week Progress Reports go home on Tuesday, February 12th. Be sure to check your child's back pack. 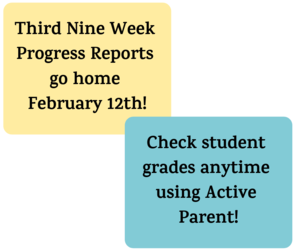 Did you know you can check grades anytime with an Active Parent account? If you do not have one, go to the "Parents" tab on the PGSD website for more information.